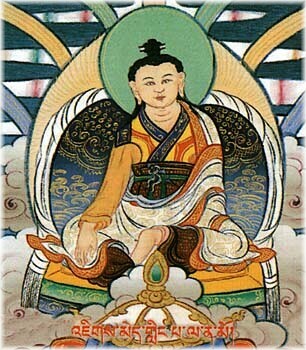 [[Image:Jikme Lingpa from 12 Dzogchen Teachers.jpg|frame|Rigdzin [[Jikmé Lingpa]], who revealed the [[Longchen Nyingtik]]]]'''Mind terma''' (Tib. ''gong ter''; [[Wyl.]] ''dgongs gter'') — a category of [[terma]], discovered within the mindstream of the [[tertön]]. [[Image:Jikme Lingpa from 12 Dzogchen Teachers.jpg|frame|Rigdzin [[Jikmé Lingpa]], who revealed the [[Longchen Nyingtik]]]]'''Mind terma''' (Tib. [[དགོངས་གཏེར་]], ''gong ter''; [[Wyl.]] ''dgongs gter'') — a category of [[terma]], discovered within the mindstream of the [[tertön]].